The latest (and Golden Globe-winning) film from Mexican director Guillermo del Toro, The Shape of Water, centres around kind and caring daydreamer Elisa (Sally Hawkins), a mute who works as a janitor within a secret government research facility during the early 1960s. Elisa communicates entirely through sign-language and with the assistance of her colleague Zelda Fuller (Octavia Spencer) and her best friend and neighbour Giles (Richard Jenkins). After a supposed accident at the facility, Elisa and Zelda are tasked with cleaning one of the laboratories. Here, Elisa comes across a strange creature housed in a tank of water and a tentative relationship between the two begins to blossom. What follows is a kind of ‘heist’ film, where Elisa and her friends must extract the creature (the ‘asset’) from the facility before any irreversible harm can come to it. 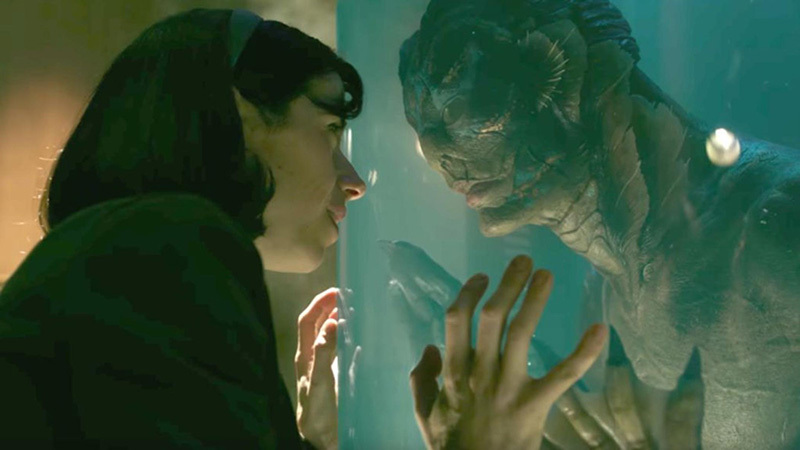 Like Pan’s Labyrinth, there is a terrible beauty to the The Shape of Water, including sporadic moments of brutality, which add a menacing undertone to the otherwise whimsical aesthetic. The film carries some highly topical themes – the importance of empathy, the intricacies and nuances of communication (not dissimilar to last year’s Arrival) – and explores depths of love, loneliness and heartbreak in unexpected ways. The cast is exceptional. Michael Shannon is despicable as ever as the sinister and ruthless Colonel Richard Strickland, while Hawkins emanates pure warmth and heart. Just as impressive is the production design and art direction – the design of the creature is breathtaking. A fairy-tale of a film unlike anything else currently showing in cinemas.